As experts in content management, we know how vital it is that your great content reaches everyone. Phil Archer outlines what he thinks are the possible directions for accessible data management on the web. He is leaving W3C to focus on accessibility in retail management. In the article, Archer makes suggestions for the fields of spatial data, research data, linked data, AI, and vocabulary data. A study conducted by the Anglia Ruskin University found that by 2050, 115 million people could have visual impairments. This is a staggering increase from the current population of 36 million and highlights the need for more accessible technologies and research for individuals with sight loss. Tim Bernes-Lee has won the ACM A.M. Turing prize for his work in online privacy and government transparency. He is the founder of W3C, which sets the standards for web development including how to make the internet fully accessible. The article features a short documentary of Berners-Lee talking about his vision for the internet. An exciting new development from a team at the University of California helps to bridge the communication divide between the deaf and the hearing. They have developed a smart glove that easily translates sign language to text, at an affordable price. The glove uses flexible strain sensors to track the movements of the hand and transmit the data across bluetooth to a smartphone or other devices. The glove is still in testing but the team hopes to bring it to market soon. 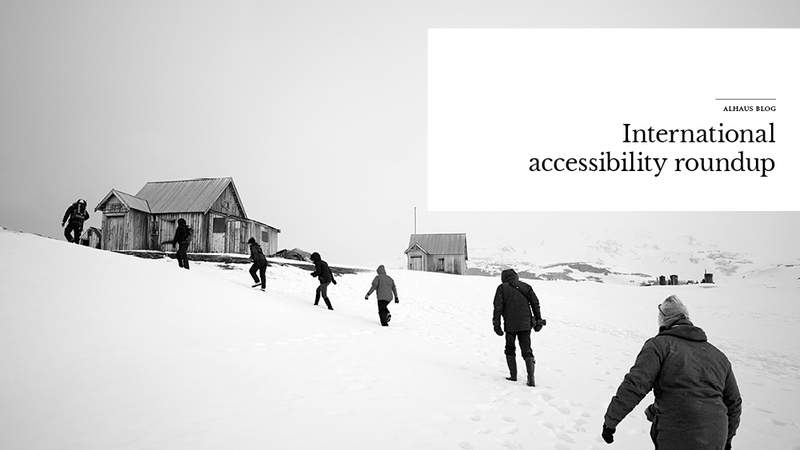 For more news and information about international accessibility, subscribe to our blog. Also, if you are interested in learning more about how accessibility can help expand your brand reach, contact our experts and we can help make sure that your great content reaches everyone.